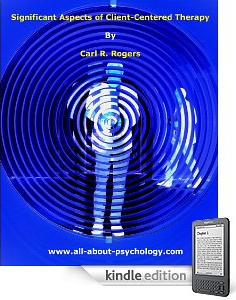 Significant Aspects of Client Centered Therapy by Carl Rogers is a must read for anybody interested in psychotherapy and counseling. 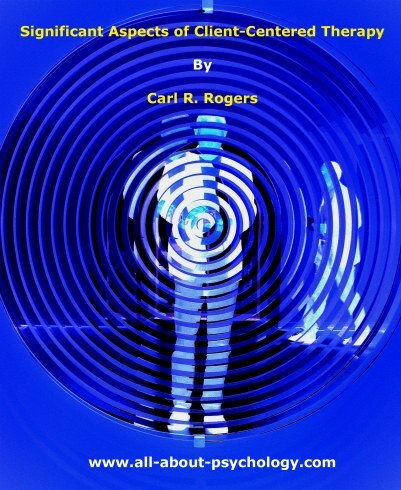 In this landmark publication Carl Rogers outlines the origins of client centered therapy, the process of client-centered therapy, the discovery and capacity of the client and the client-centered nature of the therapeutic relationship. In planning to address this group, I have considered and discarded several possible topics. I was tempted to describe the process of non-directive therapy and the counselor techniques and procedures which seem most useful in bringing about this process. But much of this material is now in writing. My own book on counseling and psychotherapy contains much of the basic material, and my recent more popular book on counseling with returning servicemen tends to supplement it. The philosophy of the client-centered approach and its application to work with children is persuasively presented by Allen. The application to counseling of industrial employees is discussed in the volume by Cantor. Curran has now published in book form one of the several research studies which are throwing new light on both process and procedure. Axline is publishing a book on play and group therapy. Snyder is bringing out a book of cases. So it seems unnecessary to come a long distance to summarize material which is, or soon will be obtainable in written form. Another tempting possibility, particularly in this setting, was to discuss some of the roots from which the client-centered approach has sprung. It would have been interesting to show how in its concepts of repression and release, in its stress upon catharsis and insight, it has many roots in Freudian thinking, and to acknowledge that indebtedness. Such an analysis could also have shown that in its concept of the individual's ability to organize his own experience there is an even deeper indebtedness to the work of Rank, Taft, and Allen. In its stress upon objective research, the subjecting of fluid attitudes to scientific investigation, the willingness to submit all hypotheses to a verification or disproof by research methods, the debt is obviously to the whole field of American psychology, with its genius for scientific methodology. It could also have been pointed out that although everyone in the clinical field has been heavily exposed to the eclectic "team" approach to therapy of the child guidance movement, and the somewhat similar eclecticism of the Adolf Meyers - Hopkins school of thought, these eclectic viewpoint have perhaps not been so fruitful in therapy and that little from these sources has been retained in the non-directive approach. It might also have been pointed out that in its basic trend away from guiding and directing the client. the non-directive approach is deeply rooted in practical clinical experience, and is in accord with the experience of most clinical workers, so much so that one of the commonest reactions of experienced therapists is that "You have crystallized and put into words something that I have been groping toward in my own experience for a long time." Such an analysis, such a tracing or root ideas, needs to be made, but I doubt my own ability to make it. I am also doubtful that anyone who is deeply concerned with a new development knows with any degree of accuracy where his ideas came from. Consequently I am, in this presentation. Adopting a third pathway. While I shall bring in a brief description of process and procedure. and while I shall acknowledge in a general way our indebtedness to many root sources, and shall recognize the many common elements shared by client-centered therapy and other approaches, I believe it will be to our mutual advantage if I stress primarily those aspects in which nondirective therapy differs most sharply and deeply from other therapeutic procedures. I hope to point out some of the basically significant ways in which the client-centered viewpoint differs from others, not only in its present principles, but in the wider divergencies which are implied by the projection of its central principles. The first of the three distinctive elements of client-centered therapy to which I wish to call your attention is the predictability of the therapeutic process in this approach. We find, both clinically and statistically, that a predictable pattern of therapeutic development takes place. The assurance which we feel about this was brought home to me recently when I played a recorded first interview for the graduate students in our practicum immediately after it was recorded, pointing out the characteristic aspects, and agreeing to play later interviews for them to let them see the later phases of the counseling process. The fact that I knew with assurance what the later pattern would be before it had occurred only struck me as I thought about the incident. We have become clinically so accustomed to this predictable quality that we take it for granted. Perhaps a brief summarized description of this therapeutic process will indicate those elements of which we feel sure. It may be said that we now know how to initiate a complex and predictable chain of events in dealing with the maladjusted individual, a chain of events which is therapeutic, and which operates effectively in problem situations of the most diverse type. This predictable chain of events may come about through the use of language as in counseling, through symbolic language, as in play therapy, through disguised language as in drama or puppet therapy. It is effective in dealing with individual situations, and also in small group situations. It is possible to state with some exactness the conditions which must be met in order to initiate and carry through this releasing therapeutic experience. Below are listed in brief form the conditions which seem to be necessary, and the therapeutic results which occur. This experience which releases the growth forces within the individual will come about in most cases if the following elements are present. 1. If the counselor operates on the principle that the individual is basically responsible for himself, and is willing for the individual to keep that responsibility. 2. If the counselor operates on the principle that the client has a strong drive to become mature, socially adjusted. independent, productive, and relies on this force, not on his own powers, for therapeutic change. 3. If the counselor creates a warm and permissive atmosphere in which the individual is free to bring out any attitudes and feelings which he may have, no matter how unconventional, absurd, or contradictory these attitudes may be. The client is as free to withhold expression as he is to give expression to his feelings. 5. If the therapist uses only those procedures and techniques in the interview which convey his deep understanding of the emotionalized attitudes expressed and his acceptance of them. This under standing is perhaps best conveyed by a sensitive reflection and clarification of the client's attitudes. The counselor's acceptance involves neither approval nor disapproval. If these conditions are met. then it may be said with assurance that in the great majority of cases the following results will take place. 1. The client will express deep and motivating attitudes. 2. The client will explore his own attitudes and reactions more fully than he has previously done and will come to be aware of aspects of his attitudes which he has previously denied. 3. He will arrive at a clearer conscious realization of his motivating attitudes and will accept himself more completely. This realization and this acceptance will include attitudes previously denied. He may or may not verbalize this clearer conscious understanding of himself and his behavior. 4. In the light of his clearer perception of himself he will choose, on his own initiative and on his own responsibility, new goal which are more satisfying than his maladjusted goals. 5. He will choose to behave in a different fashion in order to reach these goals, and this new behavior will be in the direction of greater psychological growth and maturity. It will also be more spontaneous and less tense, more in harmony with social needs of others, will represent a more realistic and more comfortable adjustment to life. It will be more integrated than his former behavior. It will be a step forward in the life of the individual. Clinically, we know that sometimes this process is relatively shallow, involving primarily a fresh reorientation to an immediate problem, and in other instances so deep as to involve a complete reorientation of personality. It is recognizably the same process whether it involves a girl who is unhappy in a dormitory and is able in three interviews to see something of her childishness and dependence, and to take steps in a mature direction, or whether it involves a young man who is on the edge of a schizophrenic break, and who in thirty interviews works out deep insights in relation to his desire for his father's death, and his possessive and incestuous impulses toward is mother, and who not only takes new steps but rebuilds his whole personality in the process. Whether shallow or deep, it is basically the same. We are coming to recognize with assurance characteristic aspects of each phase of the process. We know that the catharsis involves a gradual and more complete expression of emotionalized attitudes. We know that characteristically the conversation goes from superficial problems and attitudes to deeper problems and attitudes. We know that this process of exploration gradually unearths relevant attitudes which have been denied to consciousness. We recognize too that the process of achieving insight is likely to involve more adequate facing of reality as it exists within the self, as well as external reality; that it involves the relating of problems to each other, the perception of patterns of behavior; that it involves the acceptance of hitherto denied elements of the self, and a reformulating of the self-concept; and that it involves the making of new plans. In the final phase we know that the choice of new ways of behaving will be in conformity with the newly organized concept of the self; that first steps in putting these plans into action will be small but symbolic; that the individual will feel only a minimum degree of confidence that he can put his plans into effect, that later steps implement more and more completely the new concept of self, and that this process continues beyond the conclusion of the therapeutic interviews. If these statements seem to contain too much assurance, to sound "too good to be true," I can only say that for many of them we now have research backing, and that as rapidly as possible we are developing our research to bring all phases of the process under objective scrutiny. Those of us working clinically with client-centered therapy regard this predictability as a settled characteristic, even though we recognize that additional research will be necessary to fill out the picture more completely. It is the implication of this predictability which is startling. Whenever, in science, a predictable process has been discovered, it has been found possible to use it as a starting point for a whole chain of discoveries. We regard this as not only entirely possible, but inevitable, with regard to this predictable process in therapy. Hence, we regard this orderly and predictable nature of nondirective therapy as one of its most distinctive and significant points of difference from other approaches. Its importance lies not only in the fact that it is a present difference. but in the fact that it points toward a sharply different future, in which scientific exploration of this known chain of events should lead to many new discoveries, developments. and applications. Naturally the question is raised, what is the reason for this predictability in a type of therapeutic procedure in which the therapist serves only a catalytic function? Basically the reason for the predictability of the therapeutic process lies in the discovery - and I use that word intentionally - that within the client reside constructive forces whose strength and uniformity have been either entirely unrecognized or grossly underestimated. It is the clearcut and disciplined reliance by the therapist upon those forces within the client, which seems to account for the orderliness of the therapeutic process, and its consistency from one client to the next. I mentioned that I regarded this as a discovery. I would like to amplify that statement. We have known for centuries that catharsis and emotional release were helpful. Many new methods have been and are being developed to bring about release, but the principle is not new. Likewise, we have known since Freud's time that insight, if it is accepted and assimilated by the client, is therapeutic. The principle is not new. Likewise we have realized that revised action patterns, new ways of behaving, may come about as a result of insight. The principle is not new. But we have not known or recognized that in most if not all individuals there exist growth forces, tendencies toward self-actualization, which may act as the sole motivation for therapy. We have not realized that under suitable psychological conditions these forces bring about emotional release in those areas and at those rates which are most beneficial to the individual. These forces drive the individual to explore his own attitudes and his relationship to reality. and to explore these areas effectively. We have not realized that the individual is capable of exploring his attitudes and feelings, including those which have been denied to consciousness, at a rate which does not cause panic, and to the depth required for comfortable adjustment. The individual is capable of discovering and perceiving, truly and spontaneously, the interrelationships between his own attitudes, and the relationship of himself to reality. The individual has the capacity and the strength to devise, quite unguided, the steps which will lead him to a more mature and more comfortable relationship to his reality. It is the gradual and increasing recognition of these capacities within the individual by the client-centered therapist that rates, I believe, the term discovery. All of these capacities I have described are released in the individual if a suitable psychological atmosphere is provided. There has, of course, been lip service paid to the strength of the client, and the need of utilizing the urge toward independence which exists in the client. Psychiatrists, analysts, and especially social case workers have stressed this point. Yet it is clear from what is said, and even more clear from the case material cited. that this confidence is a very limited confidence. It is a confidence that the client can take over, if guided by the expert, a confidence that the client can assimilate insight if it is first, given to him by the expert, can make choices providing guidance is given at crucial points. It is, in short, the same sort of attitude which the mother has toward the adolescent. that she believes in his capacity to make his own decisions and guide his own life, providing he takes the directions of which she approves. This is very evident in the latest book on psychoanalysis by Alexander and French. Although many of the former views and practices of psychoanalysis are discarded, and the procedures are far more nearly in line with those of nondirective therapy, it is still the therapist who is definitely in control. He gives the insights. he is ready to guide at crucial points. Thus while the authors state that the aim of the therapist is to free the patient to develop his capacities, and to increase his ability to satisfy his needs in ways acceptable to himself and society; and while they speak of the basic conflict between competition and cooperation as one which the individual must settle for himself; and speak of the integration of new insight as a normal function of the ego, it is clear when they speak of procedures that they have no confidence that the client has the capacity to do any of these things. For in practice, "As soon as the therapist takes the more active role we advocate, systematic planning becomes imperative. In addition to the original decision as to the particular sort of strategy to be employed in the treatment of any case, we recommend the conscious use of various techniques in a flexible manner, shifting tactics to fit the particular needs of the moment. Among these modifications of the standard technique are; using not only the method of free association but interviews of a more direct character, manipulating the frequency of the interviews, giving directives to the patient concerning his daily life, employing interruptions of long or short duration in preparation for ending the treatment, regulating the transference relation-hip to meet the specific needs of the case, and making use of real-life experiences as an integral part of therapy". At least this leaves no doubt as to whether it is the client's or the therapist's hour; it is clearly the latter. The capacities which the client is to develop are clearly not to be developed in the therapeutic sessions. The client-centered therapist stands at an opposite pole, both theoretically and practically. He has learned that the constructive forces in the individual can be trusted. and that the more deeply they are relied upon, the more deeply they are released. He has come to build his procedures upon these hypotheses, which are rapidly becoming established as facts; that the client knows the areas of concern which he is ready to explore; that the client is the best judge as to the most desirable frequency of interviews; that the client can lead the way more efficiently than the therapist into deeper concerns; that the client will protect himself from panic by ceasing to explore an area which is becoming too painful; that the client can and will uncover all the repressed elements which it is necessary to uncover in order to build a comfortable adjustment; that the client can achieve for himself far truer and more sensitive and accurate insights than can possibly be given to him; that the client is capable of translating these insights into constructive behavior which weigh his own needs and desires realistically against the demands of society; that the client knows when therapy is completed and he is ready to cope with life independently. Only one condition is necessary for all these forces to be released, and that is the proper psychological atmosphere between client and therapist. Our case records and increasingly our research bear out these statements. One might suppose that there would be a generally favorable reaction to this discovery, since it amounts in effect to tapping great reservoirs of hitherto little-used energy. Quite the contrary is true, however, in professional groups. There is no other aspect of client-centered therapy which comes under such vigorous attack. It seems to be genuinely disturbing to many professional people to entertain the thought that this client upon whom they have been exercising their professional skill actually knows more about his inner psychological self than they can possibly know, and that he possesses constructive strengths which make the constructive push by the therapist seem puny indeed by comparison. The willingness fully to accept this strength of the client, with all the re-orientation of therapeutic procedure which it implies, is one of the ways in which client-centered therapy differs most sharply from other therapeutic approaches. The third distinctive feature of this type of therapy is the character of the relationship between therapist and client. Unlike other therapies in which the skills of the therapist are to be exercised upon the client. in this approach the skills of the therapist are focussed upon creating a psychological atmosphere in which the client can work. If the counselor can create a relationship permeated by warmth, understanding, safety from any type of attack, no matter how trivial, and basic acceptance of the person as he is, then the client will drop his natural defensiveness and use the situation. As we have puzzled over the characteristics of a successful therapeutic relationship, we have come to feel that the sense of communication is very important. If the client feels that he is actually communicating his present attitudes, superficial, confused, or conflicted as they may be, and that his communication is understood rather than evaluated in any way, then he is freed to communicate more deeply. A relationship in which the client thus feels that he is communicating is almost certain to be fruitful. All of this means a drastic reorganization in the counselor's thinking, particularly if he has previously utilized other approaches. He gradually learns that the statement that the time is to be "the client's hour" means just that, and that his biggest task is to make it more and more deeply true. Perhaps something of the characteristics of the relationship may be suggested by excerpts from a paper written by a young minister who has spent several months learning client-centered counseling procedures. "Because the client-centered, nondirective counseling approach has been rather carefully defined and clearly illustrated, it gives the "Illusion of Simplicity." The technique seems deceptively easy to master. Then you begin to practice. A word is wrong here and there. You don't quite reflect feeling, but reflect content instead. It is difficult to handle questions; you are tempted to interpret. Nothing seems so serious that further practice won't correct it. Perhaps you are having trouble playing two roles - that of minister and that of counselor. Bring up the question in class and the matter is solved again with a deceptive ease. But these apparently minor errors and a certain woodenness of response seem exceedingly persistent. "Only gradually does it dawn that if the technique is true it demands a feeling of warmth. You begin to feel that the attitude is the thing. Every little word is not so important if you have the correct accepting and permissive attitude toward the client. So you bear down on the permissiveness and acceptance. You will permiss and accept and reflect the client, if it kills you! But you still have those troublesome questions from the client. He simply doesn't know the next step. He asks you to give him a hint, some possibilities, after all you are expected to know something, else why is he here! As a minister, you ought to have some convictions about what people should believe, how they should act. As a counselor, you should know something about removing this obstacle - you ought to have the equivalent of the surgeon's knife and use it. Then you begin to wonder. The technique is good, but...does it go far enough! does it really work on clients? is it right to leave a person helpless, when you might show him the way out? Here it seems to me is the crucial point. "Narrow is the gate" and hard the path from here on. So one else can give satisfying answers and even the instructors seem frustrating because they appear not to be helpful in your specific case. For here is demanded of you what no other person can do or point out - and that is to rigorously scrutinize yourself and your attitudes towards others. Do you believe that all people truly have a creative potential in them? That each person is a unique individual and that he alone can work out his own individuality? Or do you really believe that some persons are of "negative value" and others are weak and must be led and taught by "wiser," "stronger" people. "You begin to see that there is nothing compartmentalized about this method of counseling. It is not just counseling, because it demands the most exhaustive, penetrating, and comprehensive consistency. In other methods you can shape tools, pick them up for use when you will. But when genuine acceptance and permissiveness are your tools it requires nothing less than the whole complete personality. And to grow oneself is the most demanding of all." He goes on to discuss the notion that the counselor must be restrained and "self-denying.'' He concludes that this is a mistaken notion. "Instead of demanding less of the counselor's personality in the situation, client-centered counseling in some ways demands more. It demands discipline, not restraint. It calls for the utmost in sensitivity, appreciative awareness. channeled and disciplined. It demands that the counselor put all he has of these precious qualities into the situation, but in a disciplined, resfined manner. It is restraint only in the sense that the counselor does not express himself in certain areas that he may use himself in others. "Even this is deceptive, however. It is not so much restraint in any area as it is a focusing, sensitizing one's energies and personality in the direction of an appreciative and understanding attitude." As time has gone by we have come to put increasing stress upon the "client-centeredness" of the relationship, because it is more effective the more completely the counselor concentrates upon trying to understand the client as the client seems to himself. As I look back upon some of our earlier published cases - the case of Herbert Bryan in my book, or Snyder's case of Mr. M. - I realize that we have gradually dropped the vestiges of subtle directiveness which are all too evident in those cases. We have come to recognize that if we can provide understanding of the way the client seems to himself at this moment, he can do the rest. The therapist must lay aside his preoccupation with diagnosis and his diagnostic shrewdness, must discard his tendency to make professional evaluations, must cease his endeavors to formulate an accurate prognosis, must give up the temptation subtly to guide the individual, and must concentrate on one purpose only; that of providing deep understanding and acceptance of the attitudes consciously held at this moment by the client as he explores step by step into the dangerous areas which he has been denying to consciousness. I trust it is evident from this description that this type of relationship can exist only if the counselor is deeply and genuinely able to adopt these attitudes. 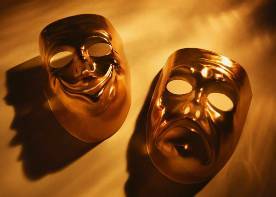 Client-centered counseling, if it is to be effective, cannot be a trick or a tool. It is not a subtle way of guiding the client while pretending to let him guide himself. To be effective, it must be genuine. It is this sensitive and sincere "client-centeredness" in the therapeutic relationship that I regard as the third characteristic of nondirective therapy which sets it distinctively apart from other approaches. Although the client-centered approach had its origin purely within the limits of the psychological clinic, it is proving to have implications, often of a startling nature, for very diverse fields of effort. I should like to suggest a few of these present and potential implications. In the field of psychotherapy itself, it leads to conclusions that seem distinctly heretical. It appears evident that training and practice in therapy should probably precede training in the field of diagnosis. Diagnostic knowledge and skill is not necessary for good therapy, a statement which sounds like blasphemy to many, and if the professional worker, whether psychiatrist, psychologist or caseworker, received training in therapy first he would learn psychological dynamics in a truly dynamic fashion, and would acquire a professional humility and willingness to learn from his client which is today all too rare. The viewpoint appears to have implications for medicine. It has fascinated me to observe that when a prominent allergist began to use client-centered therapy for the treatment of non-specific allergies, he found not only very good therapeutic results, but the experience began to affect his whole medical practice. It has gradually meant the reorganization of his office procedure. He has given his nurses a new type of training in understanding the patient. He has decided to have all medical histories taken by a nonmedical person trained in nondirective techniques, in order to get a true picture of the client's feelings and attitudes toward himself and his health, uncluttered by the bias and diagnostic evaluation which is almost inevitable when a medical person takes the history and unintentionally distorts the material by his premature judgments. He has found these histories much more helpful to the physicians than those taken by physicians. The client-centered viewpoint has already been shown to have significant implications for the field of survey interviewing and public opinion study. Use of such techniques by Likert, Lazarsfeld, and others has meant the elimination of much of the factor of bias in such studies. This approach has also, we believe, deep implications for the handling of social and group conflicts, as I have pointed out in another paper. Our work in applying a client-centered viewpoint to group therapy situations, while still in its early stages, leads us to feel that a significant clue to the constructive solution of interpersonal and intercultural frictions in the group may be in our hands. Application of these procedures to staff groups, to inter-racial groups, to groups with personal problems and tensions, is under way. In the field of education, too, the client-centered approach is finding significant application. The work of Cantor, a description of which will soon be published, is outstanding in this connection, but a number of teachers are finding that these methods, designed for therapy, produce a new type of educational process, an independent learning which is highly desirable, and even a reorientation of individual direction which is very similar to the results of individual or group therapy. Even in the realm of our philosophical orientation, the client-centered approach has its deep implications. I should like to indicate this by quoting briefly from a previous paper. As we examine and try to evaluate our clinical experience with client-centered therapy, the phenomenon of the reorganization of attitudes and the redirection of behavior by the individual assumes greater and greater importance. This phenomenon seems to find inadequate explanation in terms of the determinism which is the predominant philosophical background of most psychological work. The capacity of the individual to reorganize his attitudes and behavior in ways not determined by external factors nor by previous elements in his own experience, but determined by his own insight into those factors, is an impressive capacity. It involves a basic spontaneity which we have been loathe to admit into our scientific thinking. The clinical experience could be summarized by saying that the behavior of the human organism may be determined by the influences to which it has been exposed, but it may also be determined by the creative and integrative insight of the organism itself. This ability of the person to discover new meaning in the forces which impinge upon him and in the past experiences which have been controlling him, and the ability to alter consciously his behavior in the light of this new meaning, has a profound significance for our thinking which has not been fully realized. We need to revise the philosophical basis of our work to a point where it can admit that forces exist within the individual which can exercise a spontaneous and significant influence upon behavior which is not predictable through knowledge of prior influences and conditionings. The forces released through a catalytic process of therapy are not adequately accounted for by a knowledge of the individual's previous conditionings, but only if we grant the presence of a spontaneous force within the organism which has the capacity of integration and redirection. This capacity for volitional control is a force which we must take into account in any psychological equation. So we find an approach which began merely as a way of dealing with problems of human maladjustment forcing us into a revaluation of our basic philosophical concepts. I hope that throughout this paper I have managed to convey what is my own conviction, that what we now know or think we know about a client-centered approach is only a beginning, only the opening of a door beyond which we are beginning to see some very challenging roads, some fields rich with opportunity. It is the facts of our clinical and research experience which keep pointing forward into new and exciting possibilities. Yet whatever the future may hold, it appears already clear that we are dealing with materials of a new and significant nature, which demand the most openminded and thorough exploration. If our present formulations of those facts are correct, then we would say that some important elements already stand out; that certain basic attitudes and skills can create a psychological atmosphere which releases, frees, and utilizes deep strengths in the client; that these strengths and capacities are more sensitive and more rugged than hitherto supposed; and that they are released in an orderly and predictable process which may prove as significant a basic fact in social science as some of the laws and predictable processes in the physical sciences. 1. ALEXANDER, F. AND FRENCH, T. Psychoanalytic Therapy. New York: Ronald Press, 1946. 2. ALLEN, F. Psychotherapy with Children. New York: Norton, 1942. 3. CANTOR, N. Employee Counseling. New York: McGraw-Hill Book Company. 4. CANTOR, N. The Dynamics of Learning. (unpublished mss.) University of Buffalo, 1943. 5. CURRAN, C. A. Personality Factors in Counseling. New York: Grune and Stratton, 1945. 6. RANK, O. Will Therapy. New York: Alfred A. Knopf 1936. 7. ROGERS, C. R. "Counseling", Review of Educational Research. April 1945 (Vol. 15), pp. 135-163. 8. ROGERS, C. R. Counseling and Psychotherapy. New York: Houghton Mifflin Co., 1942. 9. ROGERS, C. R. The implications of nondirective therapy for the handling of social conflicts. Paper given to a seminar of the Bureau of Intercultural Education, New York City, Feb. 18, 1946. 10. ROGERS. C. R. AND WALLEN, J. L. Counseling with Returned Servicemen. New York: McGraw-Hill, 1946. 11. SNYDER, W. U. "An Investigation of the Nature of Non-Directive Psychotherapy." Journal of General Psychology. Vo1. 33, 1945. pp.193-223. 12. TAFT, J. The Dynamics of Therapy in a Controlled Relationship. New York: Macmillan, 1933. 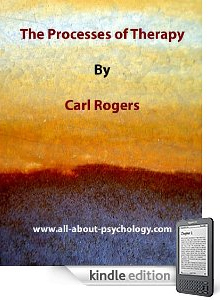 Significant Aspects of Client Centered Therapy by Carl Rogers is also available on Kindle. This special Kindle collection consists of classic articles and book chapters about psychotherapy from such luminaries as Carl Rogers, Albert Bandura, Albert Ellis and Thomas Szasz. See following link for full details.